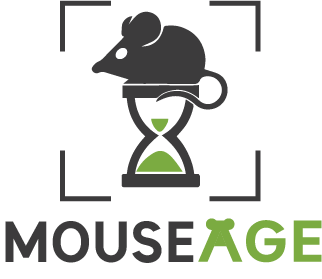 The aim of MouseAge is to develop an easy-to-use platform for researchers that will help conduct diverse experiments in aging and lifespan control using fewer animals. Click here to download the MouseAge app. A person's age can be guessed by other people. Deep Neural Networks can predict human age. A human cannot make an accurate prediction of mouse age. Deep Neural Networks can predict mouse age. Design a protocol for making pictures and videos of mice. Develop a mobile app and server infrastructure for image data collection. Develop and test algorithm for mouse age prediction. Make feature extraction to investigate visual biomarkers of aging in mice. Create a central data repository. Transfer learning of visual biomarkers to other models. Visual aging biomarkers transfer to human. Alexander Zhavoronkov, PhD, is the CEO of Insilico Medicine, Inc, a Baltimore-based company applying the latest advances in artificial intelligence to drug discovery, biomarker development, and ageing research. He is the Chief Scientific Officer of the Biogerontology Research Foundation, a UK-based registered charity supporting ageing research worldwide. Vadim Gladyshev is Professor of Medicine at Brigham and Women's Hospital, Harvard Medical School, and Associate Member of the Broad Institute. He is also Director of the Center for Redox Medicine. Dr. Gladyshev' lab applies high throughput and computational approaches to understand mechanisms of aging, control of lifespan and redox regulation of cellular processes. Dr. Gladyshev has published approximately 300 articles and has been elected as an AAAS fellow. He is a recipient of the NIH Director's Pioneer Award to study mechanisms of longevity. His laboratory has recently developed the first biomarkers of aging in mice based on blood DNA methylation. Anastasia is the General Manager of Youth Laboratories, a company developing tools to study aging and discover effective anti-aging interventions using advances in machine vision and artificial intelligence. She has a degree in bioengineering and bioinformatics. She won numerous math and bioinformatics competitions and successfully volunteered for some of the most prestigious companies in aging research. Sergey Magidovich is a highly qualified software engineer. He received his master degree in computer science. He was noticed by BGRF as a talented programmer and was invited to take part at MouseAge project where he leads backend development and manages the data storage. Konstantin is co-founder and CTO at Youth Laboratories. Konstantin holds a masters degree in Theoretical physics from Lomonosov Moscow State University. He has a broad experience in software development of high-load systems and extensive knowledge in machine learning and big data. Konstantin is approved instructor in NVIDIA Deep Learning Institute. Alexey Shevtsov holds a degree in International Financial Law. After worked for world's most prestigious companies like Ernst&Young and Deloitte and was the Head of Hong-Kong Investment, specializing in biomedicine. Alexey holds the position of CEO at Youth Laboratories, company specializing in developing the visual biomarkers of aging and diseases.